The Deadpool Dorbz vinyl figure is the latest piece of Deadpool merchandise from Funko, and courtesy of Entertainment Earth you can can win one for yourself. Simply submit the Rafflecopter form below with a valid email address, and if you will you'll be contacted via email. A longtime assassin for hire, Deadpool is famous for breaking the fourth. Help the "Merc with a Mouth" step through the wall and into your living room! 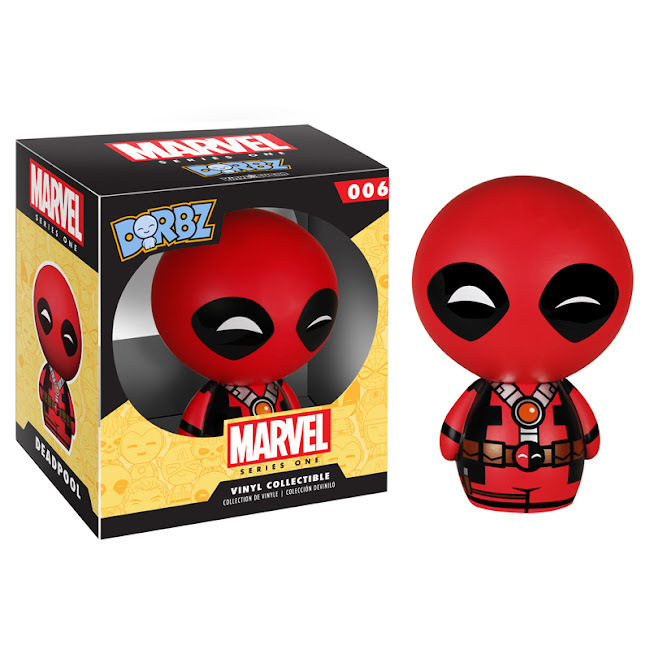 Measuring approximately 3-inches tall, this Deadpool Marvel Series 1 Dorbz Vinyl Figure comes packaged in a double-sided window display box! Ages 3 and up. If the entry form isn't loading then click here. Rules: This contest is open to U.S. residents only. Enter as often as you wish. Must be 18 years of age. No purchase necessary to enter or win. The more you enter, the more points you earn and the better your chances of winning. A winner will be chosen randomly using Rafflecopter. The contest ends on Saturday, September 25th 2015 at 12:00 am EST. One winner will be notified via email. If there is no response in three days a new winner will be chosen.